WASHINGTON – The Food and Drug Administration announced that manufacturers can start adding folic acid to corn masa flour beginning Friday, a move long pursued by advocates who say it will curb birth defects in the Hispanic community. Hispanic women have the highest rate of children born with neural tube defects, such as spina bifida, which can be prevented by taking folic acid before and early in a pregnancy. 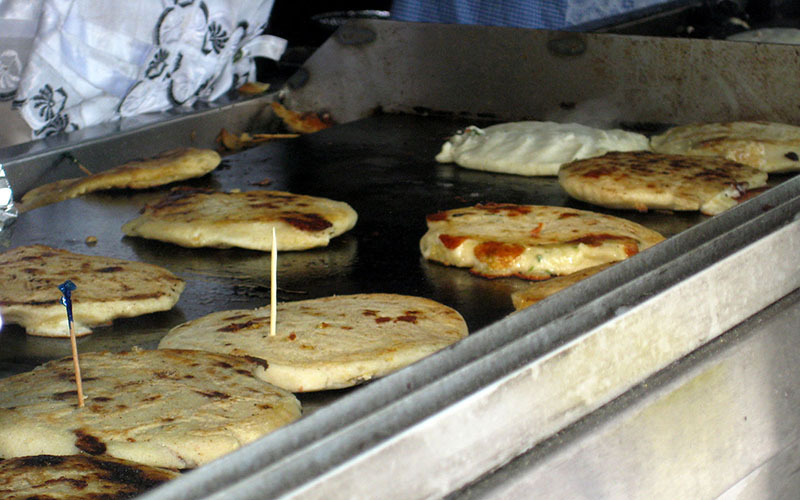 Advocates expect those rates to start dropping in a year or two with the addition of folic acid to masa – a staple in Hispanic foods. “Today’s announcement is good news for babies and families throughout the nation,” said Rita Carreon, deputy vice president of the National Council of La Raza’s Institute for Hispanic Health, during a Thursday conference call to announce the change. Susie Leo, a registered dietitian with the Arizona Department of Health Services, welcomed Thursday’s announcement, calling the addition of folic acid an “easy, no-brainer way” to get vitamin B, which is found in green leafy vegetables, orange juice and beans. The FDA first allowed the addition of folic acid to food in 1998, but only for wheat and other types of flours found in cereal, bread, rice, pasta and crackers – but not masa corn flour, which is a different type of grain. It took rigorous testing before the FDA was convinced folic acid in masa would be safe. An earlier version of this story gave the wrong range of dates for a number of neural tube birth defects reported in Arizona. The Arizona Department of Health Services says there were 550 such cases from 2002 to 2011. The story here has been corrected. Clients who used an earlier version of this story are asked to run the correction that can be found here. FDA spokeswoman Susan Mayne said the agency needed to ensure that the folic acid would be stable – meaning adding elements like an acidic lime, for example, wouldn’t affect the vitamin – and needed to assess its effect on the general population. “We got the final data that we needed late in 2015 that allowed us to have all the science in place so we can do our job as a regulatory agency to make sure that the food supply is safe,” Mayne said. The benefits of folic acid are not in dispute. According to the March of Dimes, a national foundation that works to prevent birth defects, neural tube defects fell 27 percent, or by about 1,300 births a year, after folic acid was first added to foods. But Leo said the drop in Arizona was only about 15 percent, likely because of the state’s large Hispanic population. She said Arizona had about 550 neural tube defects reported between 2002 and 2011. Folic acid intake has fallen in the past four years, but the health department continues to promote it and offers free multivitamins with folic acid through its PowerMeA2Z program. The push to add folic acid came from a 2012 citizen petition by multiple health and Hispanic advocacy groups, including La Raza, the March of Dimes and Gruma Corp. – a multinational Mexican company that already adds folic acid to its products in other countries. In February, 42 members of Congress wrote the FDA urging the addition of folic acid. One of the signers, Rep. Raul Grijalva, D-Tucson, welcomed the agency’s decision. Mayne said consumers can feel safe eating masa products fortified with folic acid, and Edward McCabe of the March of Dimes said the organization has been approached by several corn masa manufacturers who expect to start adding the vitamin quickly. McCabe said larger manufacturers might have a harder time of it. But Felipe Rubio, with the Gruma Corp., said his company expects to be adding folic acid to its American products – which include Mission, Maseca and Guerrero brands – by the end of September.